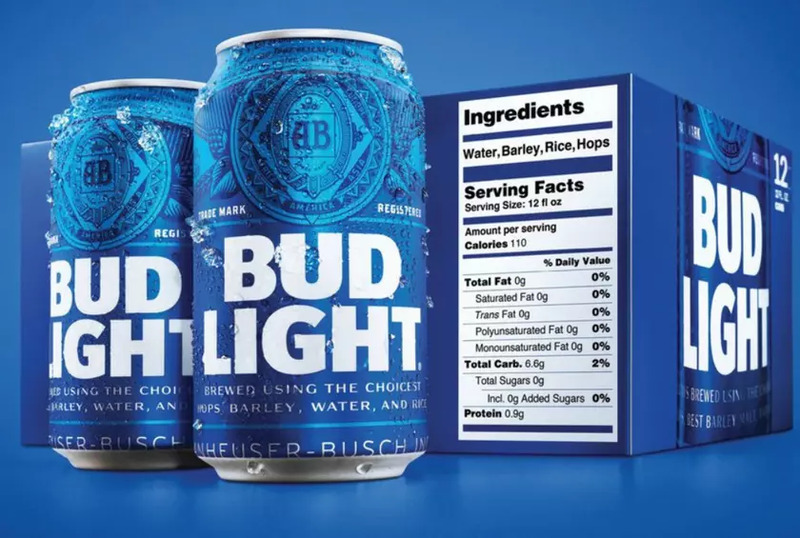 However, in keeping with the demand today, by governments and health professionals, Anheuser-Busch, the St Louis giant that brews Bud Light, has decided that it is in the public interest to prominently display on their pack labels the beer’s calories and ingredients, as well as the amount of fat, carbohydrates and protein in a serving. The label that is being produced is a large black and white printed one that currently corresponds with the requirements of the Food and Drug Administration on packaged foods. The information that is given is the usual list of contents, water, barley, rice and hops, but also that for their 12oz can, the amount of energy is 110 kcal, which is the suggested 2% of the recommended daily amount of carbohydrates. We do not know if the government here or, the brewing industry intends to follow suit, but at Data Label we have both the experience in producing labels which conform precisely to legal requirements, as well as a wide range of standard cutters for producing labels for bottles.